The top 4 pieces here arrived today. I’d ordered a fat quarter of each previously, but then I realised I’d need more for my grand quilt plan… So here’s my chosen collection for a sampler quilt, traditional patterns on one side, modern on the other. The main colours will be the Kona solids, with the patterened ones as accents. The greens match IRL incidentally! What I would REALLY love is to win the Go Baby! from Little Cottage Comforts to speed up a few cutting steps along the way, keep everything crossed for me please! 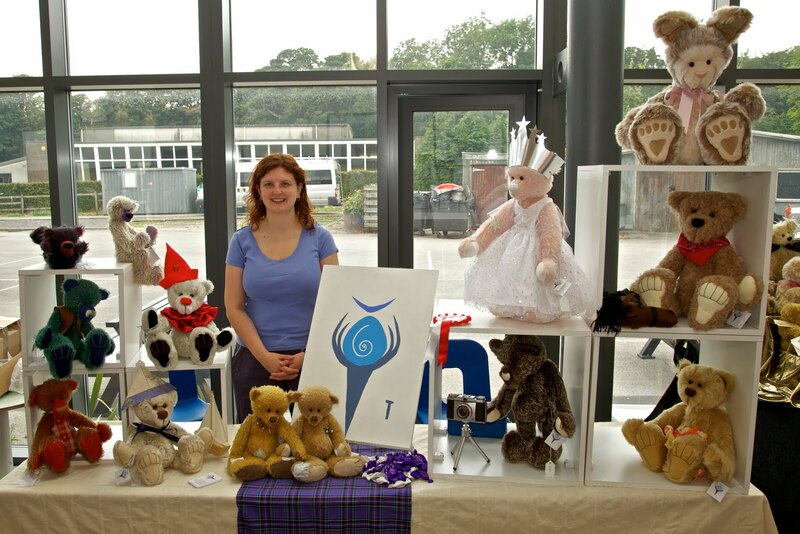 Katy, your stall looks great.I love the bears toes on the very top of the stand. Thank you :o) That's Bunch the bunny, she's a bit of a monster at about 2 and a half feet including ears! Your display is lovely. I know Jack was hanging out with your Dad so I knew not to look for him. Congratulations on that wonderful win – what dreamy colors. Take every chance you get to win an Accuquilt Go, they are amazing. I haven't learned to quilt get but I have my Go and have used it for my miniature quilts and various craft projects. 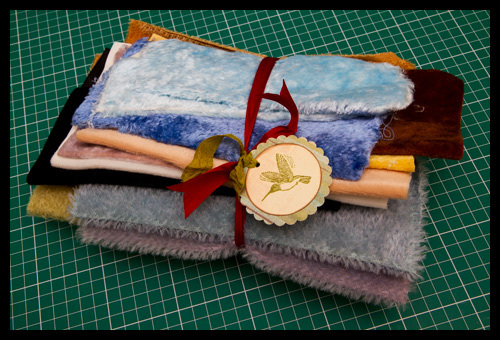 I love all the fabric, especially the mohair (of course) It looks so pretty bundled like that. 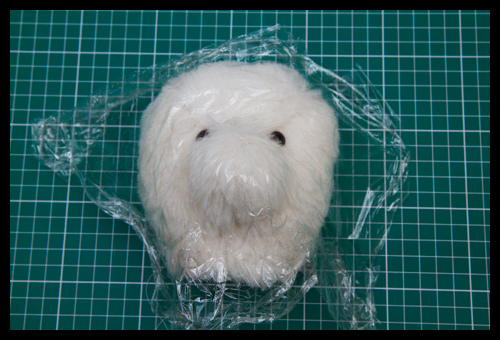 I do hope you will tell us in the future why the bears head is in plastic wrap. It now has me curious. And both you and your stand look lovely. Lucky you. 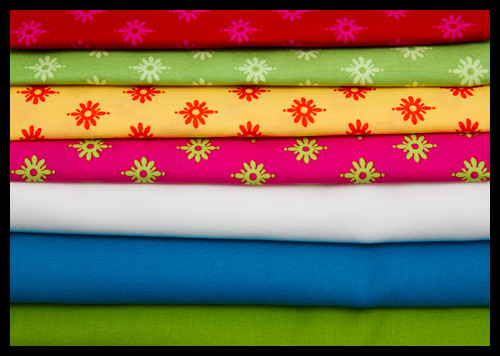 Just look at all of the fantastic fabrics. I too am curious as to why the bears head is in plastic wrap. Do tell.